on the cutting edge technology in our industry. Lefko Construction is a family owned commercial construction company. Founded in Venezuela, South America in the 1950’s, we have grown to a third-generation company based in Atlanta since 2003. With extensive experience in the construction industry, real estate, and business ventures, we operate on the highest level of professionalism. We provide commercial construction, build-outs, commercial renovations, and site development in several project markets. Born in Austria and raised in Venezuela, Tomas came to the US to obtain a BS & MS in Civil Engineering (NYU), an MBA (Mercer), and MS in Finance (GSU). In Venezuela he served as President of Zulia State Chamber of Commerce and held many Board positions. Tomas is a serial entrepreneur with multiple business ventures in South America and the US. 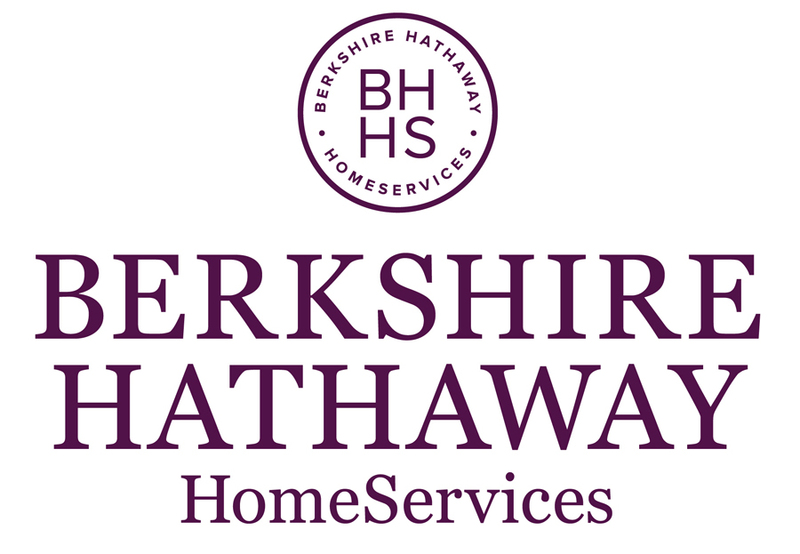 In 2004, he co-founded the LEFKO Development (DBA Lefko Construction) with two of his sons. 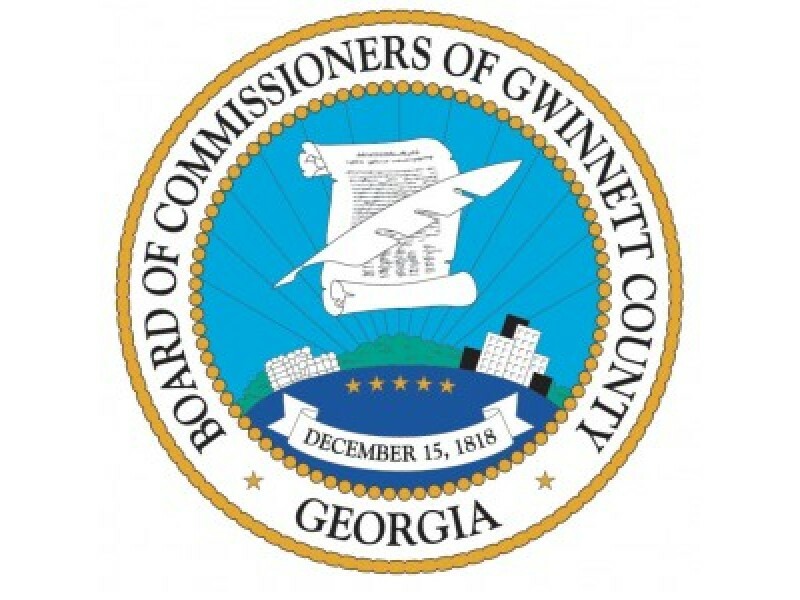 LEFKO Development is a Founding Member of the Georgia Hispanic Construction Association and Tomas was an active Board Member for several years. He is active in social causes, human rights committees, the Jewish community and past President of Hemshech, the Atlanta organization of Holocaust Survivors and their Descendants. Tomas loves spending time with his grandchildren and is fluent in Spanish, Portuguese, French, Hebrew & Hungarian. Born and raised in South America, Marc developed a passion for construction and real estate working with family ventures in Venezuela. 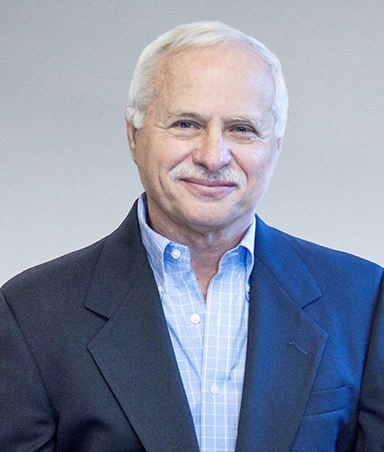 After receiving a degree in Industrial & Systems Engineering and Certificate in Economics from Georgia Institute of Technology, Marc was recruited by General Motors where he received the Chairman’s Honor award, GM’s highest employee recognition. Then, he co-founded LEFKO Development in 2004 with his father and one of his brothers. 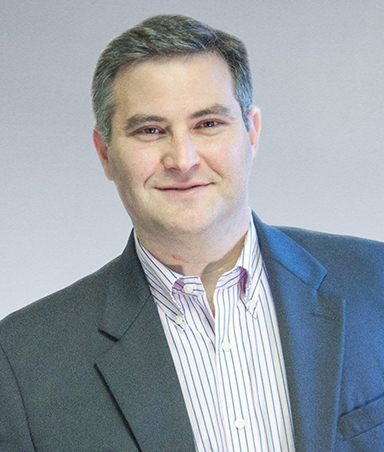 Marc served on the board of the Anti-Defamation League for the Southeast region and belongs to Congregation Or Hadash where he served as a Board Member. He also holds a Georgia Real Estate License. Marc enjoys swimming, tennis and his kids, and speaks Spanish, French and Hebrew. 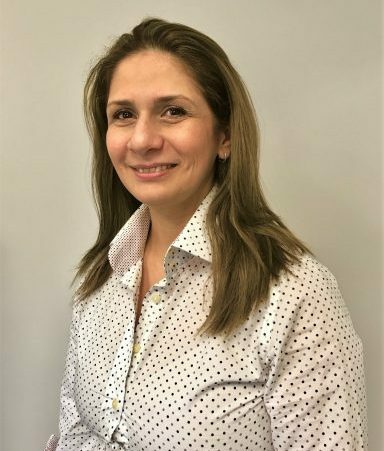 Andreina is a dynamic, resourceful Civil Engineer with strong management skills. She has over 18 years of experience in the construction industry and brings a wide diversity of knowledge to the team. 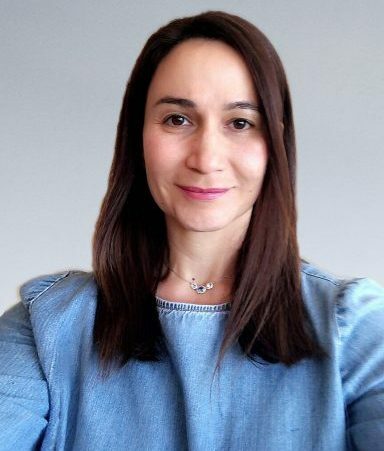 Her expertise ranges from Field Engineering to Project and Construction Management with expertise in Structures, Materials Resistance, Dynamics, Static, Structural Project, Construction, Project Inspections and Grounds. Andreina spends personal time on the course enjoying golf, reading and most importantly playing with her daughter. 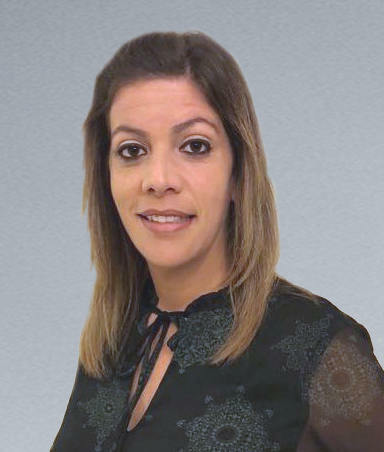 Israa is a Project Manager with an education in Architectural Engineering. She has over 10 years’ experience ranging from document review and procurement strategies to full project management. Her critical path thinking that covers all phases of a project enables her to schedule and communicate in a time sensitive manner. As a strong leader, Israa values the need to understand contract documents thoroughly in order to make necessary decisions during a project schedule. She prides herself on client and team communication. Her husband and 4 daughters occupy her time outside of the office with family activities. Tamara is a Civil Engineer with 14 years’ experience ranging from project estimating to project management. She manages her teams from the kick-off with excellent planning and communication skills. Her ability to adapt quickly in fast pace environments and generate solutions on-site prove invaluable out in the field. Tamara has a B.S. in Civil Engineering with a study focus on Business Administration. She enjoys hiking in the mountains and parks and spending time with her 5 kids and family. 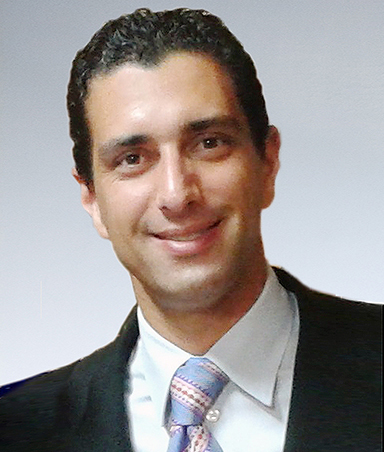 Gabriel is a Civil Engineer with excellent client and project management skills and solid decision-making qualities. Action-oriented with a natural ability to communicate with clients and team members. Gabriel’s strength is in successfully managing resources, creating streamlined schedules and maintaining budget control on his projects. He has a B.S. in civil Engineering and academic accolades that placed him in the Top 10 of his graduating class. Gabriel enjoys many sports but loves baseball. He played Second Base and Short Stop for years growing up. Juan is an experienced engineer with a detailed eye for estimating and cost valuation. Juan grew up in Maracaibo, Venezuela inspired by his father’s work ethic as a mid-size commercial real estate developer. On a tennis scholarship at George Mason University, he graduated in 2000 with a BS in Urban Systems Engineering from the Civil Engineering School. He then went on to work with Bohler Engineering PC in Washington DC, as a project engineer while earning a Masters’ degree in Engineering Management at Catholic University of America. In 2005 Juan returned to Venezuela and worked over six years in the public sector. Daniela is a Civil Engineer with a passion for organization and accuracy. Her 15 years’ experience in large scale projects allowed her to develop estimating skills and communications that are necessary for achieving successful pricing and value engineering in proposals. Her experience ranges from infrastructure to health and safety engineering projects. With dedication to procedures and guidelines, Daniels adds a level of double-checking accuracy for our estimating team. 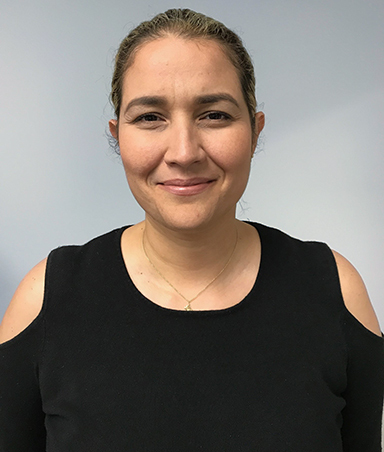 Daniel is fluent in Spanish and Italian, loves spending time with her husband and 2 daughters and making cookies. Giuseppe is a Civil Engineer with a history of organizational excellence. He enjoys working with numbers and brainstorming value engineering solutions to bring a project to a successful budget. He received his B. S. CumLaude in Civil Engineering from Rafael Urdaneta University in Venezuela. Giuseppe is currently on his 2nd year of his MSc in Construction Project Management. Giuseppe has a keen ability to manage several estimating projects at one time, keeping track of construction documents and communicating with numerous subcontractors. Giuseppe loves spending time with his family, enjoys sports and many outside activities. 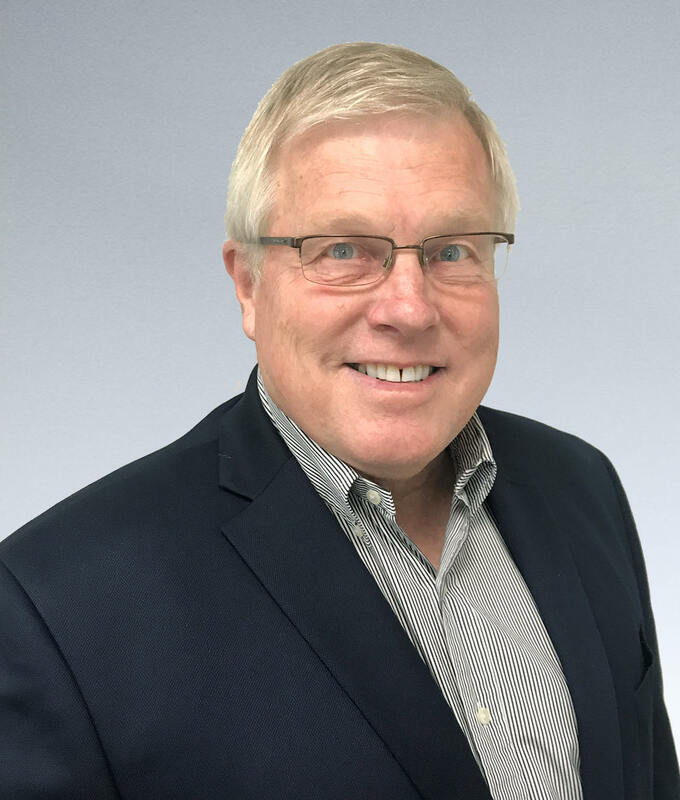 John brings extensive skills in leadership and project organization to the LEFKO team. 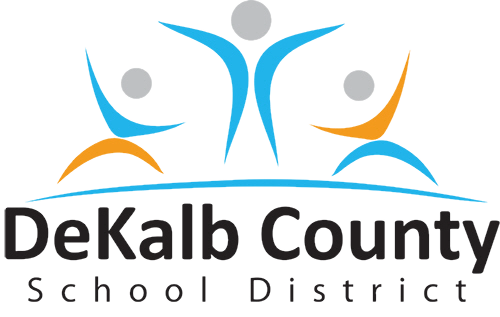 His 42+ years working with Georgia State University, the last 15 as Associate Director for Facilities, proves valuable in our client relationships. 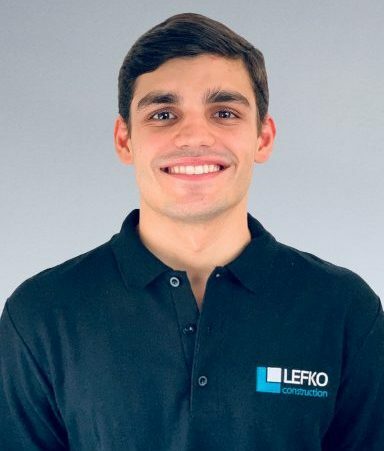 Working in a personal and dynamic field like higher education has led him to appreciate quality teams and strong interpersonal skills that are essential to LEFKO construction methodologies. John grew up in Belle Plaine, Iowa, came south after graduate school at the University of Iowa and never left. John is married, lives in Marietta and has two adult children. He enjoys woodworking, travel and all kinds of sports. 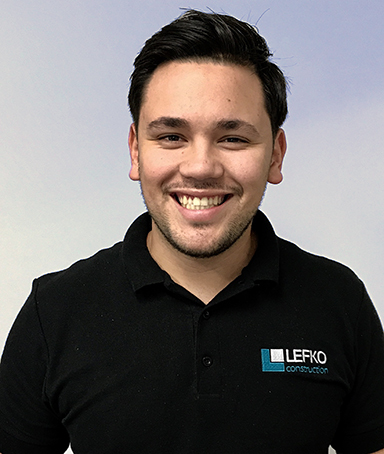 Born and raised in Turkey, fluent in Turkish, Hasan Kalayci brings nearly a decade of finance and business experience to his role as accounting manager for Lefko. 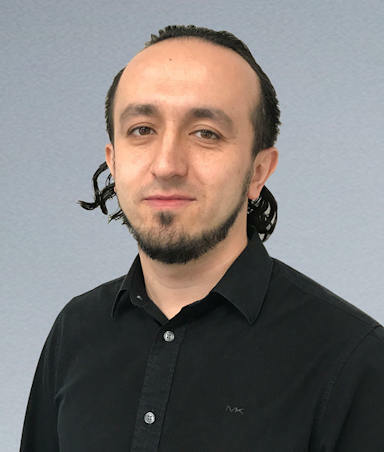 Hasan oversees Lefko’s critical accounting functions, including accounts receivable and payable, payroll, banking, account reconciliations, etc. Hasan graduated from University of South Alabama with a bachelor’s degree in accounting. His spare time finds him traveling, watching and playing soccer.